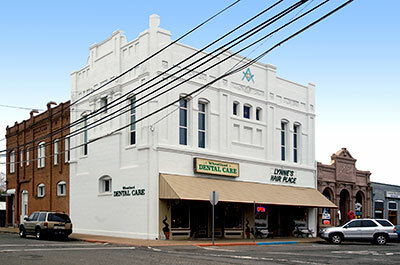 The Masonic Temple, which displays Italianate and Classical influences in its design, is one of the oldest buildings in the area and a rare example of a 19th Century non-residential building in Wheatland. It is also one of the most visually interesting and best preserved buildings in Wheatland. As home to the Odd Fellows and Masons, the building played a significant role in the lives of many Wheatland citizens throughout history of the community. Adapted from the NRHP nomination dated 8 November 1993.